The well-publicized, ongoing litigation against a manufacturer of the butter flavoring used on microwave popcorn serves as an important reminder that worker protection is just as important inside a food processing facility as anywhere else (see NewsBites in April, p.11). The fact that a chemical substance occurs naturally in food or has been evaluated and cleared by the Food and Drug Administration for addition to food does not necessarily mean it is harmless to workers when handled in concentrated form. Of course, there are facts in dispute in the ongoing litigation. Several plaintiffs allege that diacetyl, one of several flavor substances used in the butter flavoring, has caused serious lung injuries. As the defendants have pointed out, the possibility exists that something other than diacetyl is responsible for the injuries that have occurred. The defendants have also argued that adequate warnings regarding safe handling of diacetyl were provided. At the time of this writing, at least one jury was unconvinced by these arguments and awarded a plaintiff $20 million. Food additives that qualify as hazardous chemicals are subject to OSHA's Hazard Communication Standard (HCS) and corresponding state laws. The basic approach of the HCS is that chemical manufacturers and importers must evaluate the hazards of the chemicals they produce or import and pass this information to downstream employers. This is accomplished by labeling hazardous chemicals and providing each customer with a Material Safety Data Sheet (MSDS). Downstream employers must make this information available to employees handling the chemicals. "Hazardous chemical" is defined reasonably broadly under the HCS. It includes chemicals that present physical hazards (i.e., a risk of explosion) or health hazards. Many food additives do not qualify as hazardous chemicals under the HCS, but some do, and the requirements of the HCS must be followed for those that do. Naturally, the HCS also applies to any hazardous chemicals that are used within a food processing facility but are not food ingredients. Most food processors are users of chemical substances, rather than manufacturers or distributors. Therefore, the more limited obligations of the HCS aimed at users of hazardous chemicals apply. 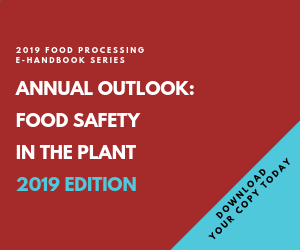 In some cases, however, a food processor may import a hazardous chemical or may develop new chemical substances or mixtures for use within a facility. In those cases, the food processor should be aware of the obligations applicable to chemical manufacturers, notably hazard evaluation and preparation of MSDSs and product labels. Employers handling hazardous chemicals must develop, implement, and maintain a written hazard communication program that includes elements such as a list of hazardous chemicals known to be present at a facility. The program must include appropriate training for employees handling hazardous chemicals. Employees, as well as contractors, should have 24-hour access to labels and MSDSs. Under OSHA's Access to Employee Exposure and Medical Records Rule, employers must maintain a durable (hard or electronic) copy of the MSDS for each hazardous chemical used (or manufactured) at a facility for at least 30 years following the last use of the chemical at the site. These are only some of the basic elements of OSHA's Hazard Communication Standard. The hazards associated with a particular chemical are not always understood, and there will always be some risk involved in handling chemical substances in the workplace. The HCS is a reasonable effort to reduce but not eliminate those risks.